On the "Add or Remove Buttons" dropdown on the toolbar, a chunk of buttons are missing their labels. 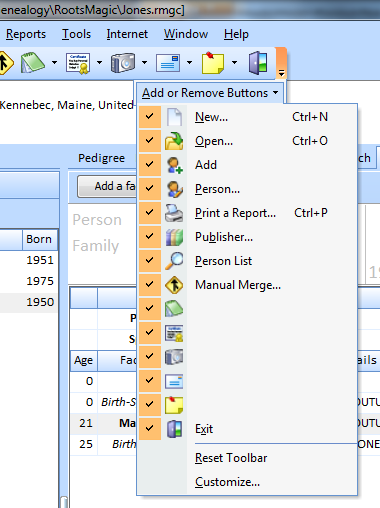 It seems to be all the ones that are themselves dropdowns, with the exception of "Add person". The labels that are missing are exactly the same ones without labels in RM4 & 5. I will add it as an enhancement request in our tracking system. Oops! I guess I never noticed it in those before.